There are no short-cuts to success says Team Brutality and proves it by winning 3 major events back to back in 30 days and completing their hat trick. 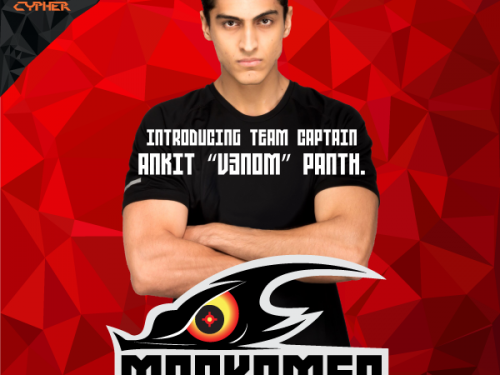 We sit down with the team captain, Ankit ‘V3nom’ Panth, and discuss our passion for gaming and how they are making it big in e-Sports. Gaming Central: You have won 3 major LAN tournaments in a span of 30 days recently. Could you talk us through that? How well prepared the boys were and what it took to get your hat trick? Team Brutality: It was a wonderful experience hitting that hat trick that too in 3 majors. After a hiatus of our consistency early this year, it was about time to do something like this. 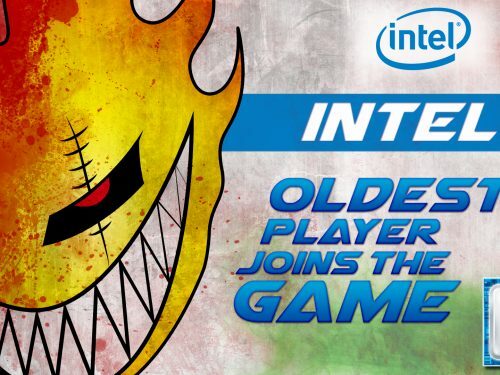 We started of by winning the Lenovo India Gaming Week which was held in Mumbai. You won’t believe as soon as we finished the finals of this event we had exactly 40 minutes to reach the airport and catch our flight to Raipur for Tranzeneca Gaming League. We really enjoyed playing both these events and are thankful to the organisers who helped us with the schedules so that we didn’t face any issue in attending both these events. GC: Now that you have 3 back to back events. How’s the team atmosphere, what is going through everyone’s mind? Team Brutality: It is exactly like the HQ of every winning team, filled with adrenaline. To be frank no one like’s losing but to be consistent you have to put in that extra effort. Everyone is pumped and doesn’t want to lose this winning streak. We just got done partying so now it’s time to take a deep breath, put on our focus hat and get back to work. We have a bigger tourney coming our way where we want to be in the best of our performance. GC: How does it feel to be one of the only consistent e-Sport brand of our country? Do you feel the pressure of your fans that look up to you and want you to win every time you play? 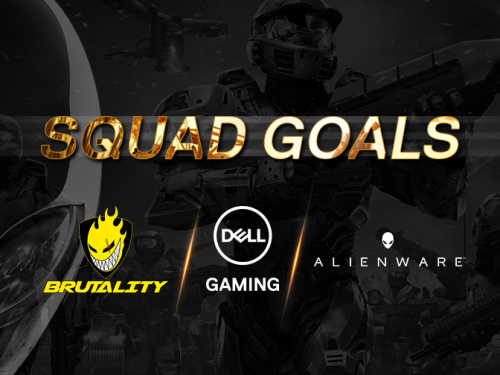 Team Brutality: It is truly an honor and a huge responsibility to cater to the expectations of our fans that have stood with us in our fall and also our rise. I won’t refrain from saying that they have seen us getting destroyed but have also motivated us to get back up and destroy. So fans before everything else, LITERALLY! Not precisely pressure but a sense of duty also prevails within Team Brutality towards our Sponsors who are like a family standing strong behind us. Am sure we will deliver more wins and make all of them happy. GC: You are currently placed 4th in the ESEA Season 20 Asia Pacific open league. How are the preparations going and where do you see yourself at the end of this season. Team Brutality: The preparations are going well but we need to work on few more things as we will be facing some well known teams from Asia in this league and it won’t be easy. We are looking to land somewhere near that top 8 spot in Asia, which we haven’t reached yet. We are pretty confident and will give our best. We prefer taking one step at a time so let’s see how this season ends. GC: You are the only Indian team to be supported by 8 brands. How does that feel and how did all of this begin. Team Brutality: Well we’re ever so grateful for their support and hope we have always done what we do best which has proved worthy of their support. At the same time Team Brutality, players and the team behind the scenes who are the unsung heroes, our manager Mr. Sat ‘Pwrfanatic’ Mayekar, pr, Mr. Shahnawaz ‘KingdeviL’ Sayyed and creative head Mr. Apurva ‘Thunderblade’ More have made sure we deliver impeccably and to the expectation which keeps our sponsors immensely happy with us. And as said before, they are like family; no matter the outcome the faith never dies in each other. GC: We have heard rumors of you being invited to an international LAN event this year. Could you put some light in here? Team Brutality: Well the rumor bird is right this time. But unfortunately I am not allowed to disclose anything at the moment. The announcement will be made soon, just stay tuned to our Facebook page. Once its announced we will need all of our fans support. GC: How do you guys practice? What is the secret behind this hat trick? Team Brutality:: As they say there are no shortcuts to success and even we had none. Our secret was our hard work and dedication towards the game. Those extra hours together has definitely helped us improve. We had been boot camping for 20-25 days before these events and I guess that has helped us win these events consistently. We have our base setup in Mumbai thanks to our sponsors SoStronk, League of Extraordinary Gamers, Zotac India, G2A.COM, Antec India, MadCatz India and Gunnar Optiks for always helping us. Their support has played a major role in our success and we hope it continues for a very long time. GC: Any last shoutouts ? Team Brutality: Oh yes, we have a lot of them. Shoutout to all are 8 amazing sponsors, SoStronk, League of Extraordinary Gamers, Zotac India, G2A.COM, Antec India, MadCatz India and Gunnar Optiks for always helping us and being there. Our awesome fans without whom these victories wouldn’t feel the same. Last but not the least Gaming Central for giving us this opportunity where we can share small little things from the inside for all our fans.